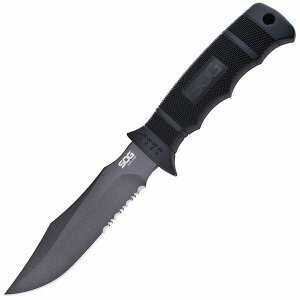 Like its big brother, the SEAL Pup has a partially serrated blade that is powder coated for low-reflection and corrosion resistance. 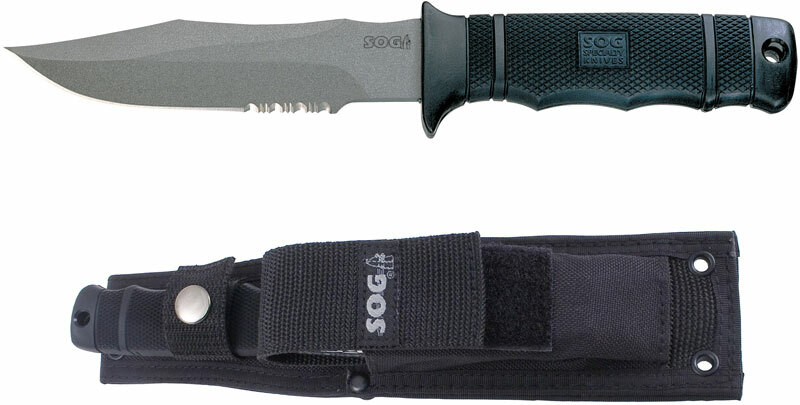 Its lightweight, glass-reinforced nylon (GRN) handle features a raised diamond pattern for secure gripping in inclement weather. 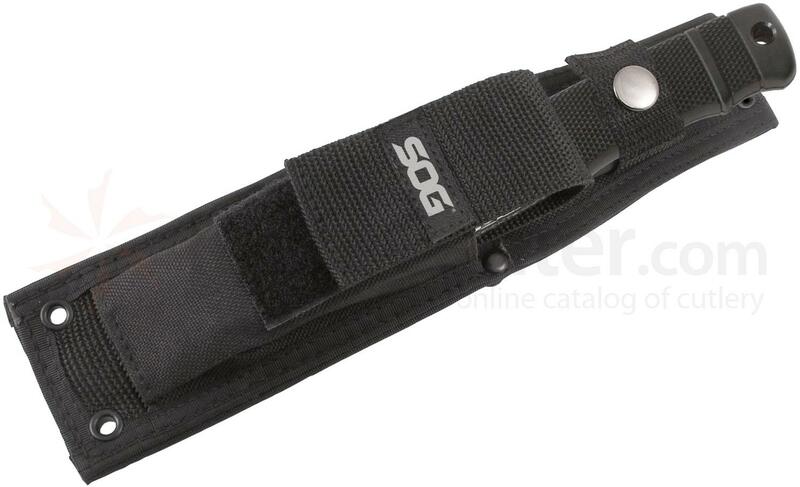 And like the SEAL Knife, it carries conveniently in a nylon sheath.